The Valkyrie is designed to function in a multitude of environments as well as roles. To be capable in all the varied conditions the systems are designed with flexibility, versatility, and stability in mind. Fighter vs. 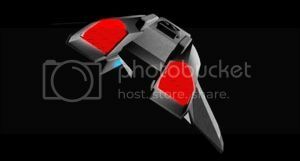 Fighter: Two twin phaser banks at the front of the craft give it a wide firingbase and the targeting systems on the craft allow it to hit specific systems on larger ships. Typically the hard points not used, or is used to carry fuel for longer range missions. The extra mass reduces the maneuverability of the craft. 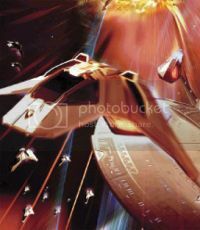 Fighter vs. Starship: Speed and maneuverability are used to keep the starship's weapons at bay. The Valkyrie typically targets systems on board the ship in able to gain an upper hand. The hard points can be outfitted with a munitions pod that can carry extra weapons such as micro torpedoes. Ground Support Role: The Valkyrie can use thrust vectoring to fly lower and slower to support the friendly ground forces. The hard points usually outfitted with ground attack munitions of a varied kind, depending on the mission and environment. August: Starfleet issues a brief for a new class of Fighter. General brief is as follows. Numerous, small, well armed, maneuverable craft, able to mass together to attack a target from several different directions. 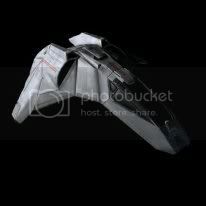 Also able to support ground forces, and counter the new Scorpion Class Attack Fighters of the Romulans. A maximum of warp 4 is required. November: Warp engine is fitted, computer core is deemed operational and basic testing on the Fighter begins. December Ship passes all regulatory control and proceeds with testing. January: Ship is proved to be operational and Starfleet examines the performance. The fighter is commissioned and Starfleet places an order for 400 Fighters to be distributed within the Federation. Currently, there are 65 in service with another 23 building per year though 2413.